As the world's leading luxury brand, Rolls-Royce Motor Cars is best placed to understand and harness the many different possibilities of luxury for its influential clients. Throughout history the power brokers and history makers have negotiated some of the most historical agreements in confidence thanks to the ‘luxury of privacy' afforded to them by the rear compartment of a Rolls-Royce. 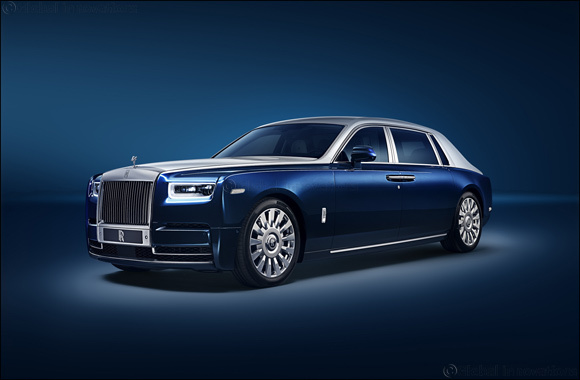 In this spirit, Rolls-Royce announced at the 2018 Chengdu Motor Show today the introduction of the ‘Privacy Suite' for the new Extended Wheelbase Phantom; an innovation that provides unrivalled levels of privacy and luxury. As it has over the past 90 years, Phantom today stands as the most celebrated luxury item in the world. Its legend compels the world's most influential and enigmatic individuals – men and women who demand the ‘luxury of privacy' wherever they travel. Expressing a deep understanding of this requirement, the marque has created the Privacy Suite, balancing function and luxury without compromising the space and comfort of rear passengers. The Privacy Suite also represents a leap forward in sound absorption in a motor car that is already hailed as the quietest in the world, delivering the highest possible levels of acoustic insulation. A frequency-specific compound inhibits the transmission of conversations in the rear cabin to the front cabin, yet a fully integrated Intercom System allows communication on demand. Controlled by the rear passenger, the Intercom System can be used to open a direct line to the driver at the press of a button whilst the driver is able to ‘call' the rear occupants, who can choose to answer or reject the communication. A Bespoke Rear Theatre Entertainment system has also been integrated into the Privacy Suite, which includes two high definition 12-inch monitors linked to the motor car's suite of fully connected software as well as an HDMI port that allows passengers to synchronise their highly secure personal devices. This complex execution of craftsmanship and technology is deployed and controlled from the centre console and, combined with Starlight Headliner and Bespoke Clock, creates a peerless ambience for passengers.